BATON ROUGE, La. -- Police in Baton Rouge have released a video showing a fight between several men in a street that they believe led to the shooting death of an LSU basketball player. 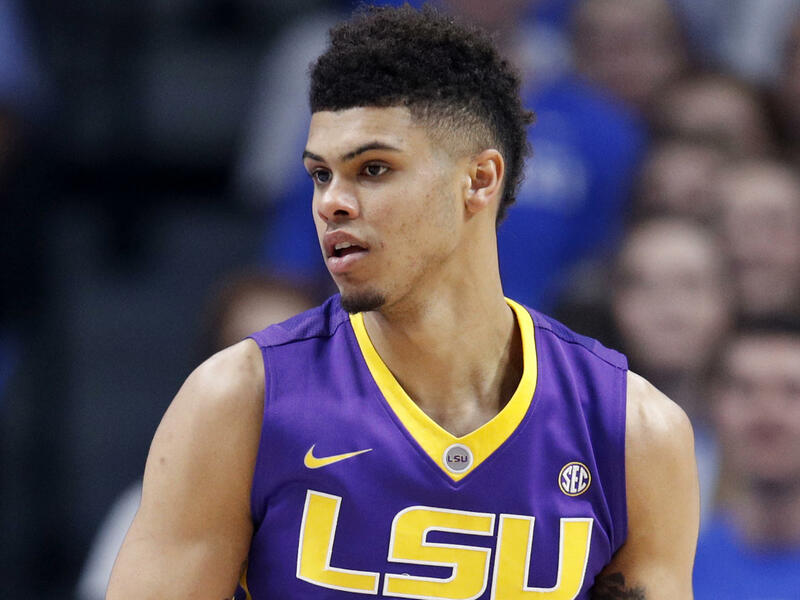 Wayde Sims died after he was shot during the fight involving several men early Friday near the campus of another university in his hometown of Baton Rouge. Sims, 20, was shot around 12:25 a.m. and died from his wounds at a hospital, Baton Rouge police Sgt. Don Coppola Jr. said. Police did not identify Sims in the video, which also shows cars stopping to avoid the melee, but Coppola said police are primarily interested in identifying a man seen wearing red pants with a white stripe. CBS affiliate WAFB reports the man is wanted for questioning. No suspects have been named. Sims was the 2014-15 Louisiana Gatorade player of the year at U-High, where he led the Cubs to three straight state titles from 2014-16. Sims was entering his junior season at LSU. The 6-foot-6 forward averaged 5.6 points and 2.6 rebounds per game last year with 10 starts in 32 games. Baton Rouge Police are asking anyone who has any information about the shooting or who can help identify the people in the video to call the Violent Crimes Unit at (225) 389-4869 or Crime Stoppers at (225) 344-7867.